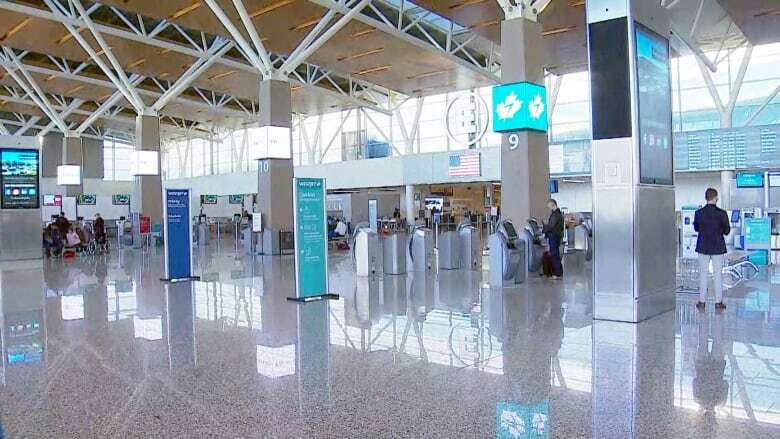 Travellers planning to fly out of Calgary International Airport over the holiday season are being reminded to get there early and be prepared to wait as this is the busiest time of the year for arrivals and departures. 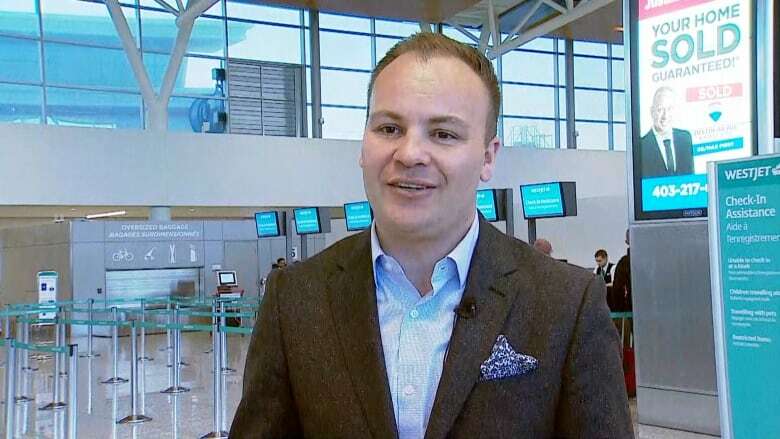 "Over the next two weeks, up until Jan. 1, we expect to have about 750,000 people though our international and domestic terminals," said Reid Fiest, spokesperson for Calgary International Airport. "So that's the equivalent of Winnipeg coming through our terminals. It's going to be a busy time and we've got lots of resources ready, whether it be our airline partners or airport authority staff to handle the extra volume." Thursday is expected to be the busiest travel day before Christmas, and Dec. 27 is expected to be the busiest day overall during the holiday season. Passengers on domestic flights should arrive at least an hour before takeoff, and international travellers should get there at least two hours early, but Fiest recommends leaving even more time during the holidays. "If you're taking early morning flights … I would say you may want to double that or perhaps add 30 minutes, just because you don't want to be stressed," he said. "Come here prepared, make sure you've done your research in terms of what you can bring in terms of carry-on luggage then enjoy the services and don't be stressed about being in a line." Gifts should remain unwrapped until passengers are through security. And with cannabis now legal in Canada, passengers can carry up to an ounce — 28 grams — on domestic flights, but don't carry any with you if you're travelling internationally. 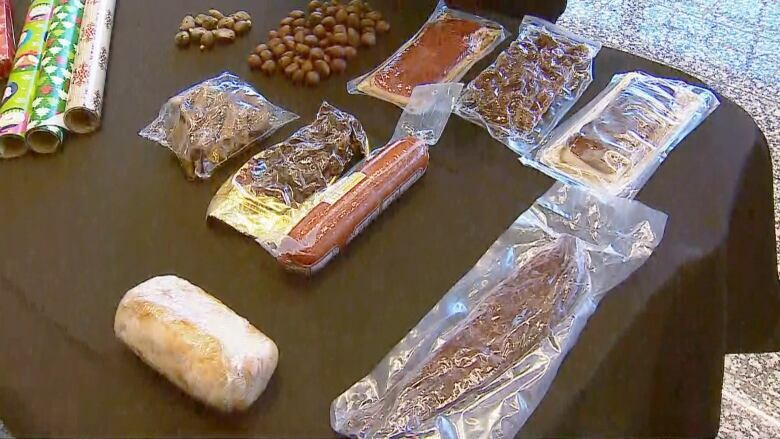 Passengers returning from international destinations should also be aware of what they are, and aren't, allowed to bring back, said Canada Border Services Agency spokesperson Gwen Pease, noting poultry, beef and pork products are on the banned list. "They may contain a disease called avian flu — that's what we want to prevent from entering into Canada," she said. "Any beef products, we have a very large large beef industry here in Canada, we want to protect that industry from potential diseases like foot-and-mouth. Pork products … we want to prevent the spread of diseases, so in this case, swine flu, swine fever, there's an African swine fever outbreaking in several countries, we want to prevent that from coming to Canada." Chestnuts are also popular at Christmas, something Pease said international travellers will need a phytosanitary certificate — showing they are free from pests — to bring them into Canada.